Berlin offers many interesting attractions that you may add to the itinerary. It features historic palaces, vast museums, imposing statues and other impressive structures. You can also visit city parks, the zoo or the stadium. Bus Charter Berlin offers buses to suit almost any group of people. The capacities of our vehicles range from eight to 65 passengers. 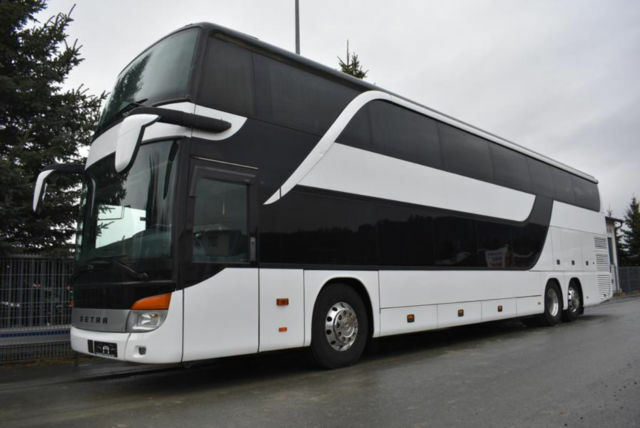 The ability to use a coach of the correct size makes travel more efficient and economical. It conserves fuel and reduces the rental cost. Our buses feature comfortable seats and luxurious amenities. Each vehicle has a restroom, a sink and a refrigerator. To keep passengers entertained on long trips, we provide DVD players and monitors that you may use to watch movies or TV shows. Your staff, team or customers will travel in safety and comfort. Bus Charter Berlin works hard to ensure safety and provide outstanding customer service. The drivers speak English and possess excellent driving skills. Our dispatchers accept orders by telephone and dispatch buses from the central office.